The other day, we learned that parrots love the Scissor Sisters — news that Scissor Sisters frontman Jake Shears was overjoyed to discover. But do birds really appreciate music, or do they just treat it like a collection of sounds? There's been a lot of debate over the years, with some scientists claiming that only humans truly appreciate music as music. Creatures ranging from birds to whales are capable of making haunting, melodious sounds — but whether those count as music has remained controversial. But neuroscience might well hold the real, surprising answer. Sarah Earp, a researcher at Emory University with dual specialties in music and neuroscience, devised an innovative study that examined not the structure or complexity of the melodious sounds made by other species, but instead what response these noises evoked in the brains of those who heard it. It's a particularly intriguing idea because, as zoomusicology expert Jean-Jacques Nattiez once argued, music has until now been uniquely human because, "sound is not organized and conceptualized (that is, made to form music) merely by its producer, but by the mind that perceives it." But if we can actually analyze the minds of birds that hear their species' songs and compare them to their human counterparts, we might well be able to say whether or not the birds are really creating music. Earp looked at the brains of white-tailed sparrows, specifically the activity of the Egr-1, which is part of a major biochemical pathway that lights up whenever the brain responds to a stimulus. 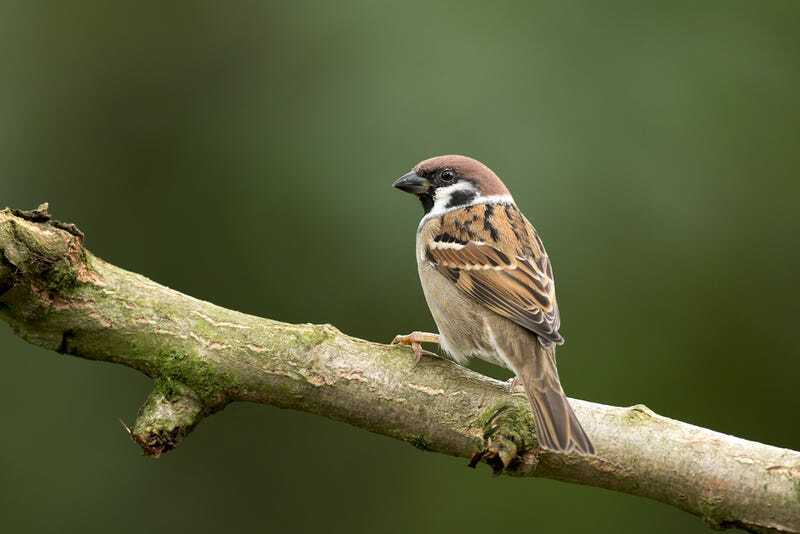 She examined how both male and female sparrows responded the males' songs, both while in and out of the breeding state. The response of both males and females to male birdsong resembled how the human amygdala reacts in response to music — although for males the response resembled when humans hear unpleasant music, while females reacted as our amygdalas would when we hear something beautiful and melodious. "We found that the same neural reward system is activated in female birds in the breeding state that are listening to male birdsong, and in people listening to music that they like. Scientists since the time of Darwin have wondered whether birdsong and music may serve similar purposes, or have the same evolutionary precursors. But most attempts to compare the two have focused on the qualities of the sound themselves, such as melody and rhythm. "The neural response to birdsong appears to depend on social context, which can be the case with humans as well. "Both birdsong and music elicit responses not only in brain regions associated directly with reward, but also in interconnected regions that are thought to regulate emotion. That suggests that they both may activate evolutionarily ancient mechanisms that are necessary for reproduction and survival." Admittedly, there is one issue with the study — a big part of the human response to music occurs in regions of the brain that birds don't really share, meaning it's hard to say definitively whether birds really do respond to their sounds exactly like humans do, which of course is crucial to determining if they are really making music. Earp suggests a followup study with baleen whales — themselves famous for their otherworldly songs — could do the trick... but first we'll have to come up with some way to perform neural images on whales, which are just slightly harder to study than white-tailed sparrows. Check out the entire original paper over at Frontiers in Evolutionary Neuroscience. Image by Mark (T3i) on Flickr.